The Americans actually broke this record twice, in both prelims and finals, which ups the impressiveness factor some. But the mixed relays are still very new events, new enough that the world records haven’t really yet been elevated to the level of some other events. The absence (until now, at least) of the event at the Olympics means the mixed relays don’t get the absolute best squads at their peaks chasing world records. 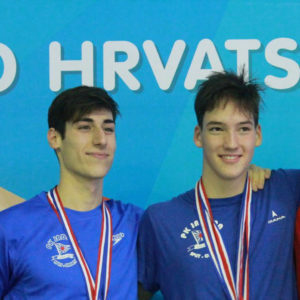 This year brought a pretty huge set of improvements in this relay, coinciding with the IOC’s decision to include the mixed medley at the 2020 Tokyo Olympics. 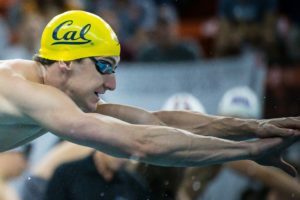 Ryan Murphy, Kevin Cordes, Kelsi Worrell and Mallory Comerford went 3:40.28 in the morning to take 1.5 seconds off the world record, and then an entirely new quartet of Matt Grevers, Lilly King, Caeleb Dressel and Simone Manuel went 3:38.56 at night, shattering the new record by another 1.7. And while the world record in the mixed medley hasn’t always been hyper-impressive (as recently as 2015, the splits of the world record relay were a pretty pedestrian 53.6 male backstroke, 59.3 male breaststroke, 57.5 female fly and 53.5 female free), the final US team was pretty historically quick across the board. Grevers was a half-second off the world record in the backstroke (52.32), King right on her own world record in the breast (1:04.15), Dressel among the fastest in history in the fly (49.92) and Manuel almost joining the exclusive 51-club with a 52.17. Oh boy. When this swim is coming in 4th-place, you know you’ve got quite the list. King’s gold medal performance takes on extra story significance due to her overt rivalry with Yulia Efimova, but in pure swimming terms, this swim is pretty impressive too. King broke a world record that stood for almost 4 years, stubbornly refusing to fall. King’s 1:04.13 beat the field by a whopping nine tenths of a second, but that’s a bit misleading, as Efimova was much faster in the semifinals, finishing about two tenths back of King. Perhaps the fact that another swimmer very nearly broke the record tempers King’s record a little, but it’s also worth noting that King is now three tenths faster than the fastest swimmer in the supersuit era and has proven herself one of the most clutch swimmers on the planet in races when she needs to back up her bold words. (King gets style points for sort-of predicting this record way back in May). If there’s a reason King only ranks 4th on this list, it’s because the next record took down pretty ridiculous super-suited marks. 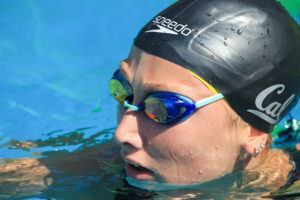 The Canadian Masse rattled the 100 back world record earlier this year, but she wouldn’t have been the first to do so and then ultimately miss the mark at Worlds. Things were different for Masse, though, as she finally broke through with a 58.10. That doesn’t have the kind of historical dominance of the mixed medley relay record (the previous world record was just .02 slower, 58.12), but longevity also plays a factor. Gemma Spofforth’s record had stood for nearly 8 years, surviving two different Olympic Games and three World Championships. 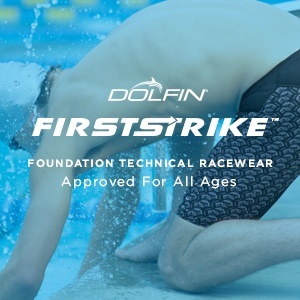 That 58.12 came from 2009, the final year buoyant, full-body swim suits were legal, and many of those records have been notoriously hard to erase. In fact, Masse’s swim was just the third of the six long course backstroke records in both genders to fall since 2009. Sjostrom’s 100 free wasn’t exactly a supersuited record, but it was pretty close. Britta Steffen’s 2009 mark had stood for 7 years when Australian Cate Campbell broke it last July by just a hundredth of a second. But Campbell suffered a month later, failing not just to re-break her record at the Olympics, but falling out of medal contention entirely. 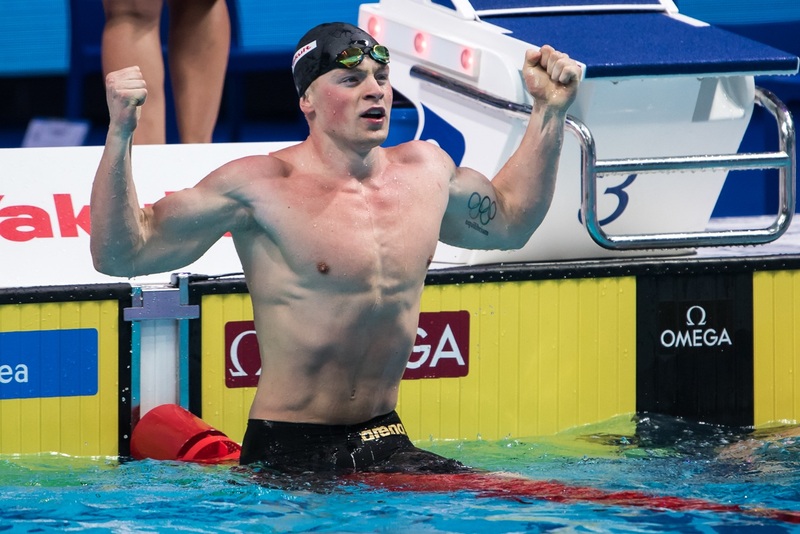 It felt like an eerie deja vu this year, when Sjostrom came within .02 of the world record about a month out of Worlds. But the Swede didn’t see any regression in the biggest spotlight, cutting another three tenths of a second to smash Campbell’s record on the opening day of Worlds. Sjostrom’s record has it all: a pretty wide margin over the previous record (relatively speaking in such a sprinty race), dominance over super-suits and dominance over the rest of the field (the second-best leadoff leg in the field is also the world’s #2 time this year: a distant eight tenths of a second behind Sjostrom). It’s also impressive in that the 100 free is arguably Sjostrom’s third- or fourth-best event, well behind her 50 and 100 fly and comparable to her 50 free. But it’s hard to argue with Adam Peaty, who is casually taking the sprint breaststroke to levels once all but unreachable. 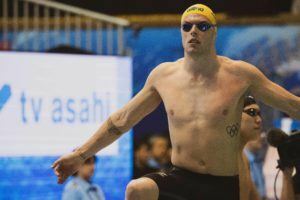 Peaty blasted a new world record of 26.10 in heats of the 50 breast, then admitted afterwards that he wasn’t even up for the race. He then returned to go 25.95 in semifinals, a blisteringly fast time that looks more like a 50 back result than a 50 breast. He was 25.99 in the final, proving his foray into the 25s was no fluke. With Katie Ledecky just a tick off her best in Budapest so far, Peaty is showing the kind of historical dominance Ledecky is known for. He’s now .59 seconds faster than anyone else in history in this race, and owns the 5 fastest performances in history along with 7 of the 10 fastest swims. He’s one of only two men to ever better the supersuited world record of 26.67 set back in 2009. Then-record-holder Cameron van der Burgh has also eclipsed that old record, but only by a tenth. Peaty has put it almost a full second behind him. It’s also worth remembering that the men’s 50 breaststroke world record didn’t even get under 27 seconds until the supersuits really came into their own in 2009. Pre-suit era, the fastest time in history was a 27.18 from Ukrainian Oleg Lisogor in 2002. In ’09 van der Burgh first cracked the elusive 27-second barrier, but now despite the banning of those bodysuits, Peaty has only needed a little less than 8 years to make the 27-barrier look slow by breaking 26 twice in two days. small correction – Gomes has also been faster than the supersuited time for the 50 breast (in the finals tonight). If Peaty’s biceps get any bigger, they’re going to start to slow him down.